With the hot weather comes the tedious chore of keeping our bodies hair-free and smooth. We can no longer justify our wooly legs like we did back in January when shorts season seemed so far away. Not only do we need a daily ritual of shaving legs, toes, underarms and our bikini area – we also have to guard against ghastly razor rash and ingrown hairs. Fortunately, there are ways to make hair removal last longer and ways to keep ingrown hairs from surfacing. Waxing can provide weeks of shave-free showers and less maintenance while feeling more confident in a swimsuit or tank top. However, there are many misconceptions about waxing and we will look at what is myth or fact. 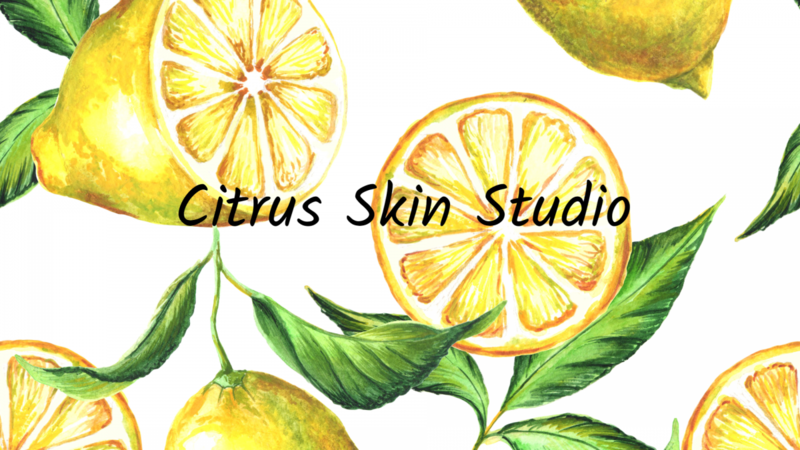 At Citrus Skin Studio, we hear a lot of questions about waxing and I would like to share with you what some of the most common concerns are to our new clients. We have a lot of nervous first-timers. Clients want the results but fear the process and are taking a gamble that the pain will be worth the payoff. To honestly answer the question…well I really can’t. Everyone’s pain tolerance is different but I can tell you that it is almost as never as bad as what the client is expecting it to be. Legs in general are not painful but can be stingy around the ankle area where it is bonier. Underarms are surprisingly easy and bikini is usually not as bad as what people expect either. Now for a Brazilian wax, there are definitely areas that are more sensitive than others. Again, it is usually not as bad as expected. Pain is reduced by the type and quality of wax and the proficiency of the waxer. It is a quick sting, only lasting a few seconds, and then is gone. For more info on Brazilian waxing please read my article. You may also schedule an appointment for a test patch to see how it feels and how your skin reacts before you commit to a full waxing procedure. The more you wax, the less uncomfortable it becomes since you are not pulling as much hair out. 2. Will the hair come back thicker and darker? There are three stages of hair growth and it can take up to four consecutive waxing treatments before all of the hair is on the same growth cycle. Your first wax may last only a week or up to three – it all depends on your genetics, and how you care for the skin before the wax and in between your treatments. Don’t be discouraged if your hair doesn’t stay gone too long the first few times. The more you wax the longer it will last. However, if your last hair removal was shaving, your first wax post shaving will not last as long. 4. How long does the hair have to be before waxing? Ideally, ¼ to ½ inch. That usually is about 10 days growth for most people. If the hair is too short, the wax cannot adhere to the hair. If the hair is too long, we can trim it for the best wax application. 5. Will waxing prevent ingrown hairs? Whether you wax or shave you can get ingrowns. These happen because when new hair begins to come up from the follicle it cannot break through the layers of skin on the surface causing the hair to curl back over on itself. They can be prevented by exfoliating on a regular basis. There are many ways to exfoliate both mechanically and chemically. If you already have ingrown hairs that are out of control please schedule an appointment for removal and calming of the skin. Never ever allow your waxer to double dip. That means that once the waxing stick is dipped in wax and used on you it should never go back into the pot. You do not want the wax that was used on the bikini before you to now be used on your lip. Enough said. If you get waxing at a nail salon make sure they are licensed to do so. Nail technicians cannot perform waxing. They must display a separate license that reads “esthetician.” Only estheticians and cosmetologists are licensed and trained to wax. Lifting can happen. This means that along with your hair a bit of skin comes with it. The risk of this is very low for an experienced waxer. At Citrus Skin Studio we use high quality hard wax on face and bikini areas to prevent this. Hard wax only sticks to the hair and not to the skin which prevents damage. However, certain medications and creams can make you prone to lifting. Always inform your waxer of what medications you are taking, especially Retin-A and Accutane. Finally, look for a place where you can rebook with the same waxer each time. This is especially important for bikini and Brazilian waxes. Once you expose your lady parts to someone you really don’t want a different person the next time. So are you ready to give waxing a try? It can be a great experience, give you amazing results and save you from all those nicks and cuts in the shower! Next Next post: Enzymes And You. A Skin Owners Guide.